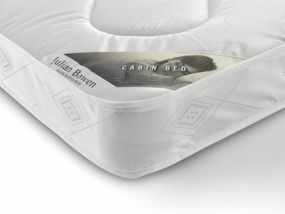 Bedz 'R' Us offer two types of Julian Bowen single mattress. 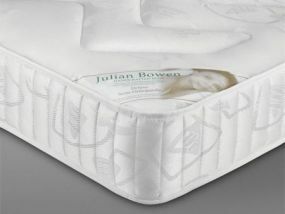 The first is the Premier Julian Bowen single mattress which is within the middle range of support and is one of the most popular single mattresses available to buy. 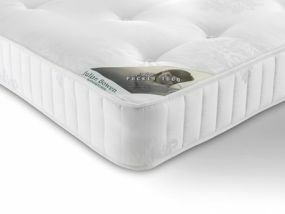 This mattress has a soft quilted cover and a spring coil system and is ideal for a child's bedroom or as a guest bed. 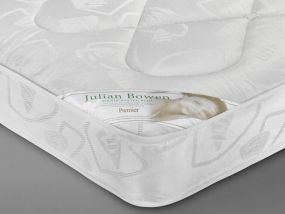 Julian Bowen also make a comfortable semi-orthopaedic single mattress which is of medium firmness. This is the ideal option if you need a bed that offers more support than a standard mattress. When you order a single mattress from the Julian Bowen range from Bedz 'R' Us, you can receive your mattress within one working day. Alternatively, Bedz 'R' Us can deliver your mattress at a place and time to suit your needs. The other great news is that delivery for these two mattresses is completely free.